When I asked her about her waking life, she told me that she’s struggling between a secure job that pays well and a desire to express her creativity. To begin, water often symbolizes emotion. 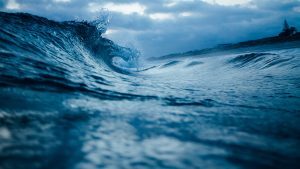 As a result, if the water in the dreams appears calm, the emotions are calm. 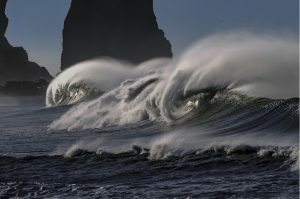 However, when the water becomes embroiled into a huge wave, the emotions are in turmoil. 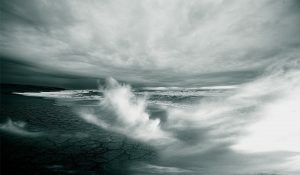 In addition, the ocean can also mean the huge unfathomable subconscious. Out of the subconscious, comes our creative impulses. Furthermore, solid ground can represent a figure of speech referring to getting finances on solid ground. In any case, the earth in dreams often symbolizes the practicalities of life. This dreamer is trying to be practical (her secure job that pays well) but her emotions keep pulling her back into her subconscious mind (the expression of her creativity). Because the dreamer is in the water in her dream, her dream symbolizes the huge emotions she’s feeling because of this unresolved conflict. You also need to act on the information you learn through interpreting your dream. You somehow have to take the dream from out of your mind and into your life. 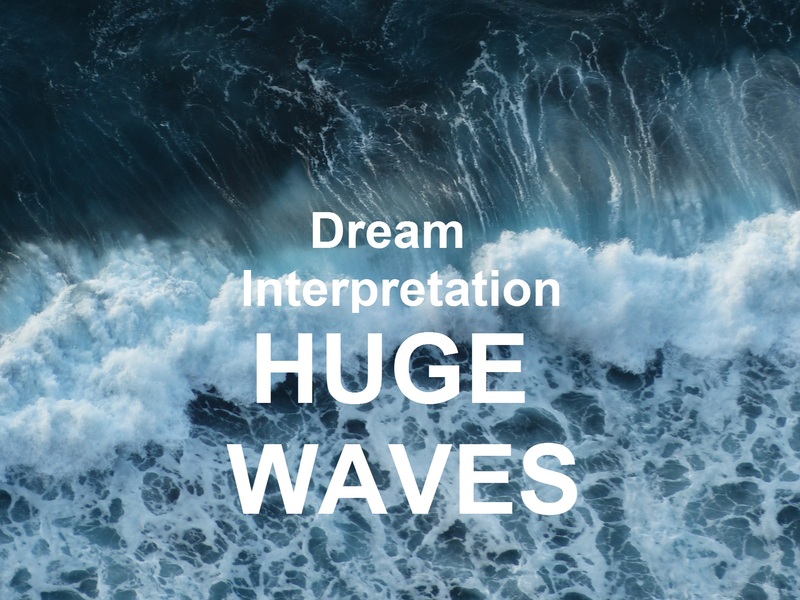 In this case, the dreamer had already written her “huge wave” dream down. She had made a start in taking the information from within her to making it part of her waking life. Sometimes, that’s the best a person can do. As she continues to write her dreams down and interpret them, she may find a trend in her dream imagery that will provide an answer to her waking issues. In this case, her inner conflict will likely not be resolved in a day. And, she does have a real conflict to deal with. Or anyway, she perceives it as such. Based on her dream, I would say that she sees her situation as an either/or: she either keeps her secure job with its financial security or she expresses the creativity welling up from her subconscious. It appears that, from her point of view, working in the creative field will not bring financial stability. What a difficult decision to make. However, as she continues to work with her dreams, she may discover a happy medium or a compromise that will still allow her to express her creativity while still keeping her financially secure. Who knows? She may even discover a way of creating her financial security with her creativity.